We are manufacturing and exporting non dairy creamer with 33 Percent, 35 Percent and 50 Percent fat. It is free flowing power and designed for coffee, tea,cookies, bread, cake,doughnut, bakery or mix as milk powder. It is instantly soluble creamer with excellent whitening properties. We, Thai Foods Product International Co., Ltd , provide Freeze Dried Monthong Durians here in Thailand. Our freeze dried durians are well selected with high quality and natural colour. It gives mild sweet, and salvory taste. IG-Q is milk tablet made from milk powder and mixed with a little sugar to give a mild sweet and milky taste. IG-Q has two flavors vanilla and chocolate. The tablets are packed in a small pack with a total 16 tablets/bag. We are a manufacturer of Ice Cream Powder with many flavours, vanilla, choclate, coconut, durian, and mango. It is easy to us. Just put 200g of Ice Cream Powder with each flavor into 300ml of room-temperature water. Beat it with ice cream maker for 15 minutes. And take it into a refrigerator. 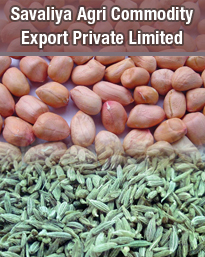 We manufacture and export Durian Powder with good quality. It is 100 Percent pure durian and produced by freeze dried process.Therefore, it gives natural smell and sweet.